It was election day 2004, Nov. 2 to be exact, when Oklahomans overwhelmingly approved a state lottery. 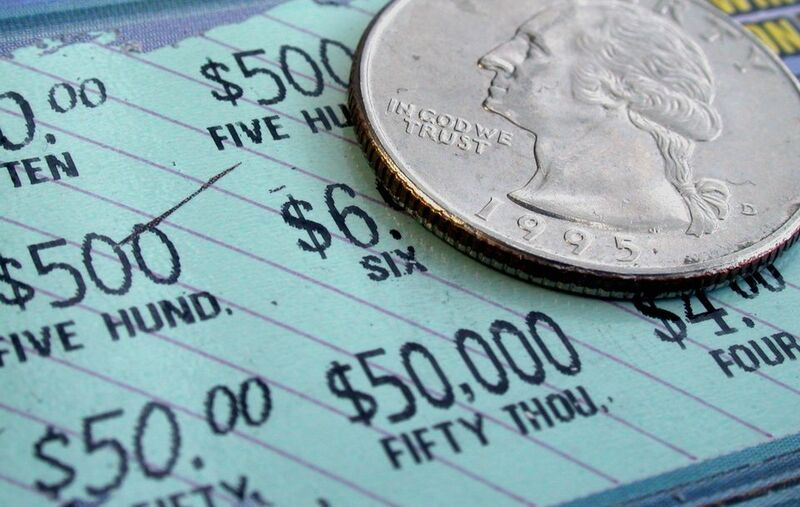 With proceeds earmarked for the state education system, the first scratch-off tickets went on sale in October of 2005, and shortly thereafter the Pick 3 followed. In January of 2006, Oklahoma began Powerball, a game with large jackpots that is played among a number of states. Another multi-state game, Mega Millions, was then added. Before you scratch off the ticket or pick those numbers, it's important to know your stuff. Here's a quick breakdown of the Oklahoma Lottery with the types of games available, how to play them, the cost and odds of winning for each and the places to buy. Scratchers: Use a coin to scratch the card. There are more than 20 options at a variety of price points. The greater the cost, the higher the prize. Pick 3 / Cash 5 / Poker Pick: Simple number picking games. Numbers are available nightly. Powerball / Mega Millions / Hot Lotto: Powerball, Mega Millions and Hot Lotto are number picking games involving multiple states with large jackpots. Players select 5 numbers and a Powerball/Megaball/Hot ball number. Winning numbers are available Wednesday and Saturday at 10 p.m. for Powerball and Hot Lotto, Tuesday and Friday for Mega Millions. * Read card instructions carefully as there are often multiple ways to win. Overall odds of winning are around 1 in 4.5 and slightly better for some games. Payouts generally correspond to price, and cards are available for $1, $2, $3 and $5. The $10 "Golden Ticket" scratcher pays as much as $100,000. For Pick 3, each column costs $1, and each type within that column costs $1. Odds for "front pair" and "back pair" type are 1:100 and pay $50. Odds for "box" type range from 3-6:1000 and pay $80 or $160. Odds for "straight" type are 1:1000 and pay top $500 prize. Each Cash 5 play is $1. Five matches pays the $25,000 (tax-free) jackpot. Winners can also get a free ticket. Odds are 1:8 up to 1:376 thousand for the jackpot. Powerball, Mega Millions and Hot Lotto are all similar, only with different terminology. Cards have 5 panels. You can play one or all five, depending on how much you want to spend. Pick 5 numbers and 1 special number. Players can pick numbers themselves or allow the computer to pick. A multiplier option costs extra but can multiply winnings by as much as 5 times. Each Powerball play is $2 while Mega Millions and Hot Lotto are $1. Odds of winning the Powerball jackpot are 1:292 million. Convenience stores, gas stations and grocery stores across the state sell scratch-off and other lottery tickets. Look for the Oklahoma Lottery logo in the window. Curious to know if you won? See links below for the winning Oklahoma Lottery numbers, including Cash 5, Pick 3 and the multi-state games, Powerball and Hot Lotto. In addition, there's a searchable history of all winning lottery numbers for each of the above games. View the winners by date or search for specific numbers and see if you won for a previous drawing.